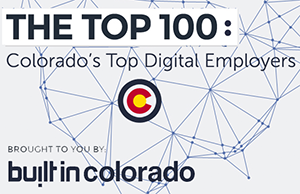 PaySimple has been named by Built In Colorado, an online community for digital entrepreneurs, as one of the Top 100 Digital Employers in Colorado. According to a recent study completed by Built In Denver, the state launched 122 startups in 2012, raised over $502 million and saw 20 successful exits. A top reason sited for this growth is that Denver is the number one location to which millennials between 25 and 34 years old choose to migrate.